Those that know me, know that I am a bit of a salad nut. I must have been a rabbit in a former life or something, because I just love munching through buckets of crunchy leaves. In the summer it’s easy to satisfy my cravings; I can just pop out into the garden and pick as much salad as I want. Winter is a little trickier; there is not much available, and even my winter salad and kale crop have now finished. 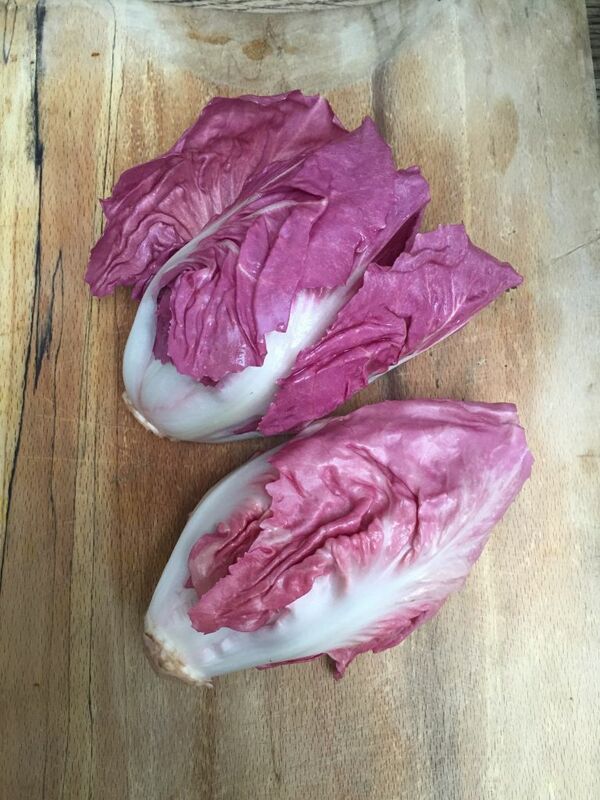 Fortunately for me, spring and autumn is when radicchio lettuce is at it’s peak. 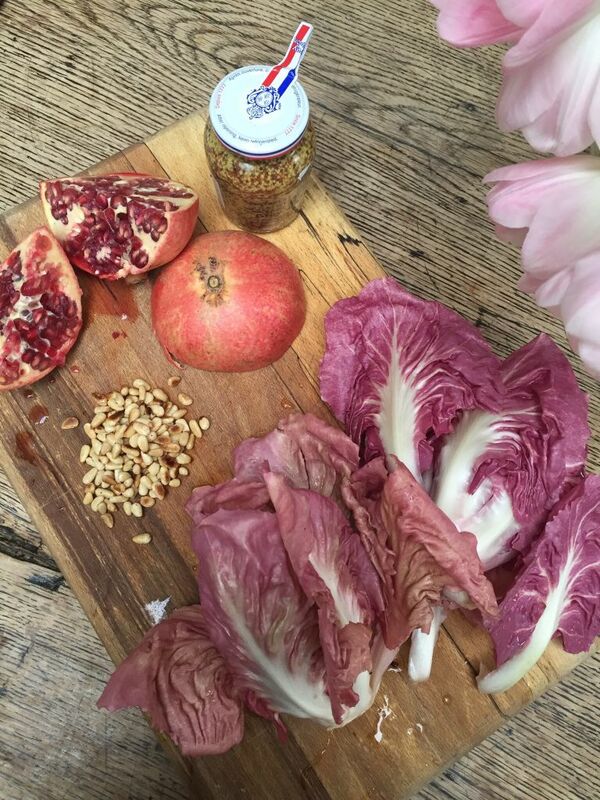 I love radicchio, it has to be one of my favourite lettuces. Their pretty pink and red leaves have a slightly bitter taste, and are delicious eaten both raw in salads, and cooked; particularly when roasted with a little thyme and olive oil. Radicchio will keep fresh for much longer than most lettuces; lasting up to 2-3 weeks if stored unwashed, in a plastic bag in the fridge. Toast the pine nuts in a dry frying pan over a medium heat for 2-3 minutes until they start to colour. Turn off the heat and leave to cool. Cut the pomegranate into quarters and remove the seeds into a bowl. 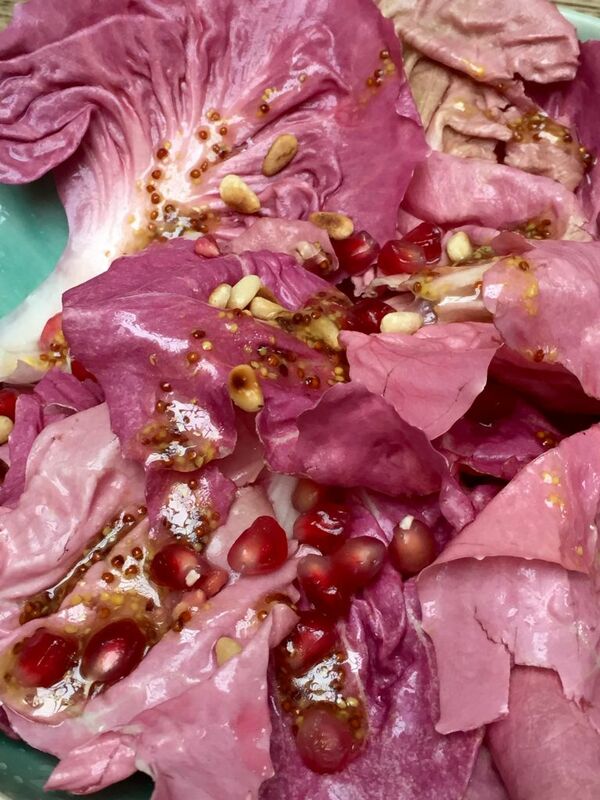 Wash and spin the radicchio and place in the bowl with the pomegranate seeds. To make the dressing; mix the grainy mustard, sesame and olive oil together with the agave nectar. 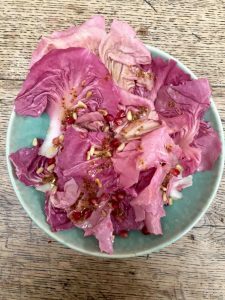 Pour the dressing over the salad and season with a little salt and pepper. Toss the leaves and sprinkle over the pine nuts and serve.